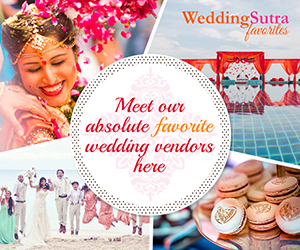 ‘A Day with WeddingSutra Favourites’ is when WeddingSutra brings their wedding planning enthusiasm and expertise to excited to-be-weds. We customize a program for a selected WeddingSutra reader which includes visits to handpicked wedding specialists, including salons and stores. In our fourth post, meet Dr. Pooja Jotwani and her mother, Mrs. Ritu Jotwani. The familes of Pooja and her fiancé, Dr Anish Patel have known each other for over 20 years. Originally from the same area in Mumbai, Anish moved to the US ten years ago to pursue a career in medicine. Early this year, their dads played Cupid. “We met a few times and struck a rapport,” Pooja says. “Intuitively and instinctively we were drawn to each other. Sharing a common profession helped us appreciate each other’s aspirations.” Pooja and Anish are tying the knot in January 2016 in Mumbai. Here Pooja writes about her day with WeddingSutra. M & K Couture Studio (JADE) located at the Peninsula Business Park, Lower Parel houses an electrifying collection of bridal wear which includes beautiful sarees, evening gowns and lehengas in vibrant colors and unique styles. Most of the collection is intricately hand-embroidered which makes them beautiful to look at and quite unique. I tried a couple of outfits on and fell in love instantly! We’ll be back there soon. 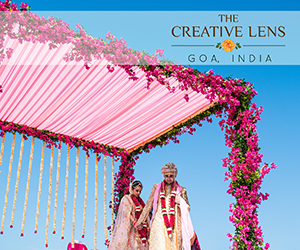 It is a must-visit for brides-to-be. P.N Gadgil Jewelers at Vile Parle showcases a huge collection of gold, diamond and platinum jewellery. Their staff showed us some very fine designs from the Evara Platinum collection. What we liked the most was that their designs were very contemporary and versatile as accessories for any outfit, whether traditional or western. Getting Amrita Sanghavi to do the make-up for my wedding reception has been on my wish-list from the first time I saw her work. Thank you WeddingSutra for arranging a session with her! She is a thorough professional and gave me some useful tips for my skin and hair care. The icing on the cake was when she confirmed that she is available to do my make-up on the D-Day! 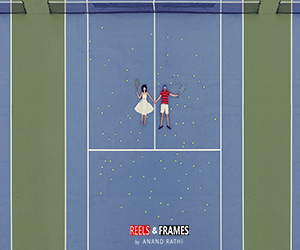 The wedding invitation you send out is one of the most essential elements of planning a wedding. It sets the tone of the festivities to come. It should include the right balance of warmth while providing precise details about the functions. Niketu Mehta of ‘Krimson’ showed us a wide range of wedding cards with different themes and motifs: contemporary, fusion, traditional and many more. Each invitation was personalized according to the couples’ taste. What really caught our attention was that the designs were unique and really stood apart from the usual red and gold ones. Wedding photographs are all that remains when everything has been packed and put away. Canvera has two useful online features for to-be-weds and already-weds. 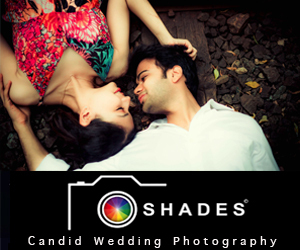 The Photographers Directory to help you find your wedding photographer and the Canvera Photo App allows you to share your wedding memories, anytime, anywhere with just a simple pin. I have still not finalized on my Wedding Photographer so will spend some time on the Directory before taking the decision. Soap Opera specializes in artisan, hand-poured designer glycerin soaps. We were shown a range that included adorable shapes, vibrant colours and make for a nice wedding favor or giveaway. They can customize colours, fragrances and create bespoke designs with bridal monograms! We checked out the menswear at SVA (by Sonam & Paras Modi), opposite Palladium, since we had not paid much attention to that aspect earlier. SVA who stock both mens and womens wear, have an interesting, on trend range of bandis and Moroccan pants. In addition to dressing the groom, they also have great options for the other men in the family. Our final stop was Floral Art, Juhu run by mother-daughter duo Kavita and Srishti Kapur. You can choose from a large variety of wedding gifts: trays, bags, hampers, potlis etc. 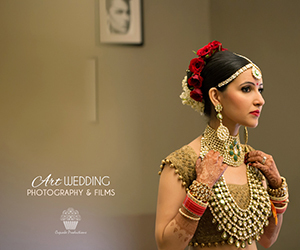 They also specialize in floral and gota work jewellery for pre-wedding functions like the mehndi and bridal shower. Ritu Jotwani’s (Pooja’s Mother) Review: Thank you team WeddingSutra for curating an amazing day out for us! My daughter and I had a wonderful time. The entire experience was really educational and helpful. A great start to our wedding preparations!! *The prices are as per notes taken by Pooja and her mother and readers are requested to recheck the same. Your names, link to your Facebook profiles, date of your wedding, city you live in and the city where you will be getting married. This entry was posted on Tuesday, July 14th, 2015 at 2:57 pm	and is filed under Wedding Planning, WeddingSutra Favorites. You can follow any responses to this entry through the RSS 2.0 feed. Both comments and pings are currently closed.